Is This Someone Who wants Peace? 1) Appologize to the other bloggers hes been defaming and harassing. 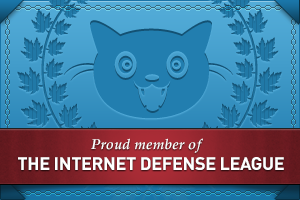 2) Remove everything on his blog that claims Anonymous are terrorists. 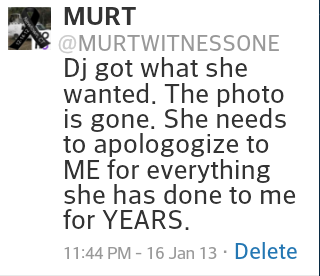 3) Appologize to KyAnonymous and Anonymous in general for the accusations hes been making. Is this someone who wants to make peace? I don’t think so. 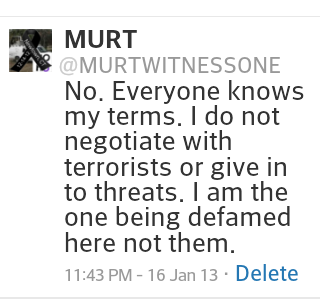 The clock is ticking Murt.